Good questions – let’s take a look at each individually. Make sure area is well ventilated. Battery acid can cause harmful fumes and other toxins that should be avoided. Have an acid-collection system in place for your floor area. Wear aprons, goggles, face shields and other protective equipment. Establish an eye-wash station within 25 feet of the battery changing area (if one already doesn’t exist). 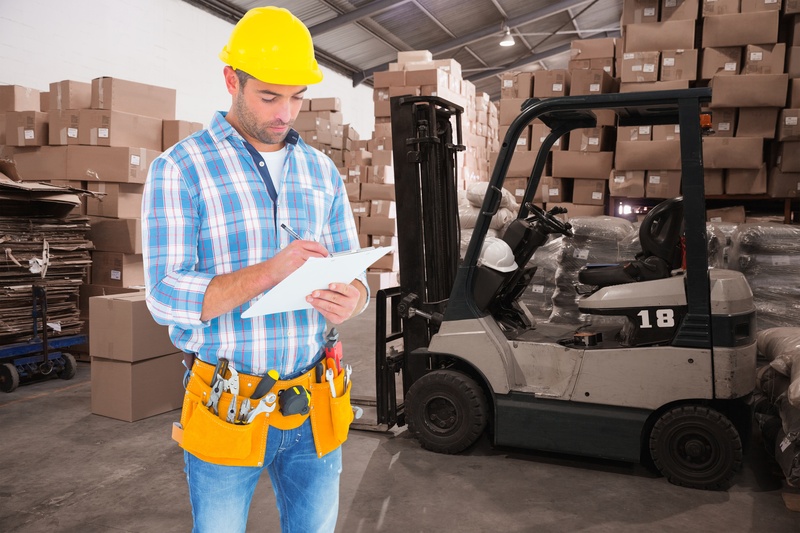 Your forklift owner’s manual will have additional changing requirements – specific to your particular make & model – that will provide extra guidance. Word of advice: those manuals are included for a reason; make sure you read it, especially if you’re directly involved with forklift maintenance at your company. Regarding when is the best time to change your forklift battery, the simple answer is: according to your owner’s manual. However, proper and thorough record-keeping helps in this regard. If you’re on top of your forklift’s battery, you’ll know how much juice is left. If you’re not up-to-date with the battery, chances are you may be running your forklift under the manufacturer’s recommended threshold. Again, OSHA has a helpful reference. Check out their “Powered Industrial Trucks” page here. Remember, forklift maintenance is just one of many important factors that make up a complete & comprehensive safety program. If you or your co-workers require the latest OSHA forklift training, look no further than CertifyMe.net. With convenient online testing, a 100% pass rate, instant access to credentials and affordable rates, no other training program can help you as much – or as fast – than CM. To get started today, please call our OSHA forklift experts at (888) 699-4800, or check out our contact page. We’ll help get your safety program in full swing today, for much less than pricy 3rd-party options. Thanks again for reading our blog – check back for more safety updates, news and other topics that impact the forklift industry.